We are saddened to report the passing of Dan Ireland on April 15th. 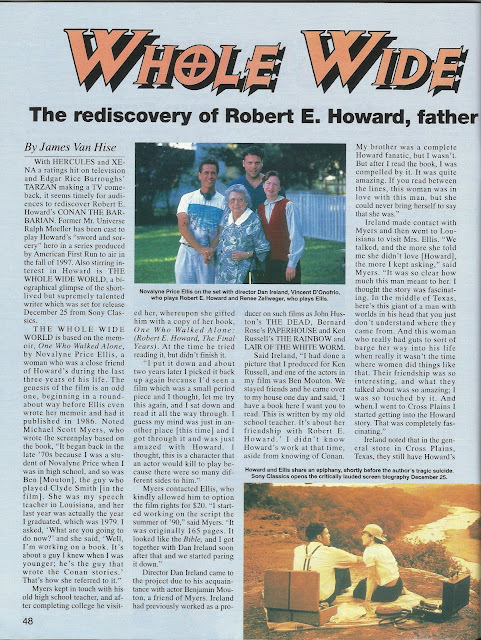 Dan was the Director of The Whole Wide World, the marvelous movie depicting the relationship between Robert E. Howard and Novalyne Price. The Whole Wide World will be featured at this year's Howard Days, as our Guest of Honor, Michael Scott Myers, is the screenwriter and 2016 marks the 20th anniversary of TWWW. 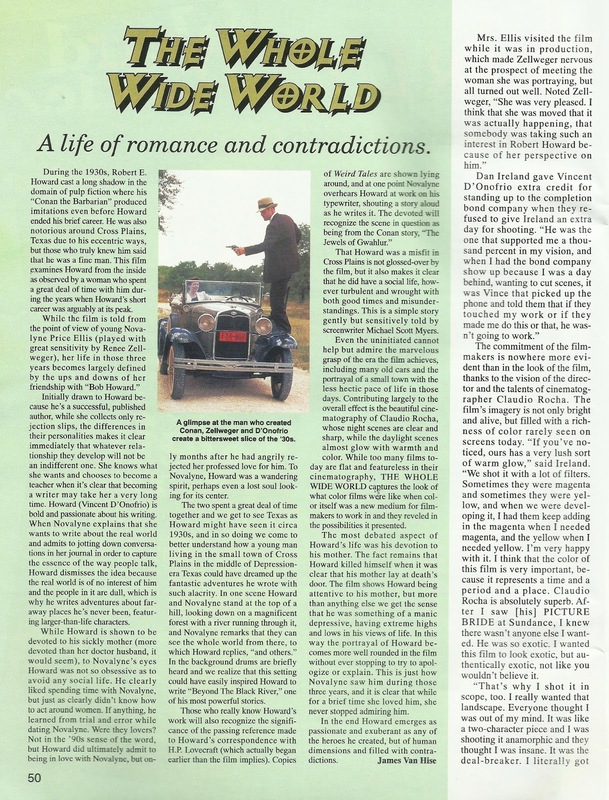 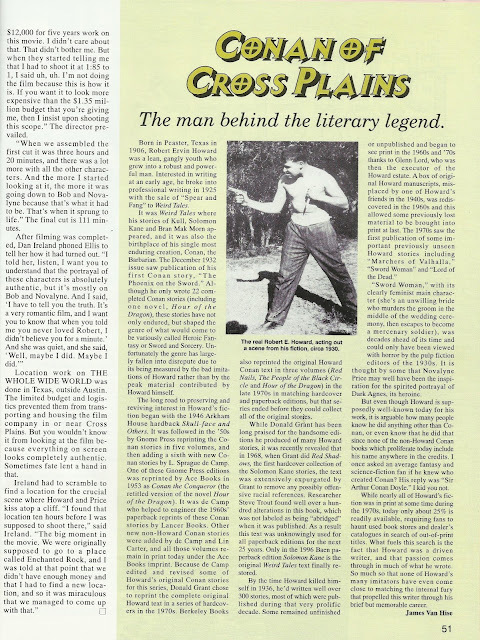 We'd like to share this article about the making of The Whole Wide World, pulled from the pages of Cinefantastique from January 1986. 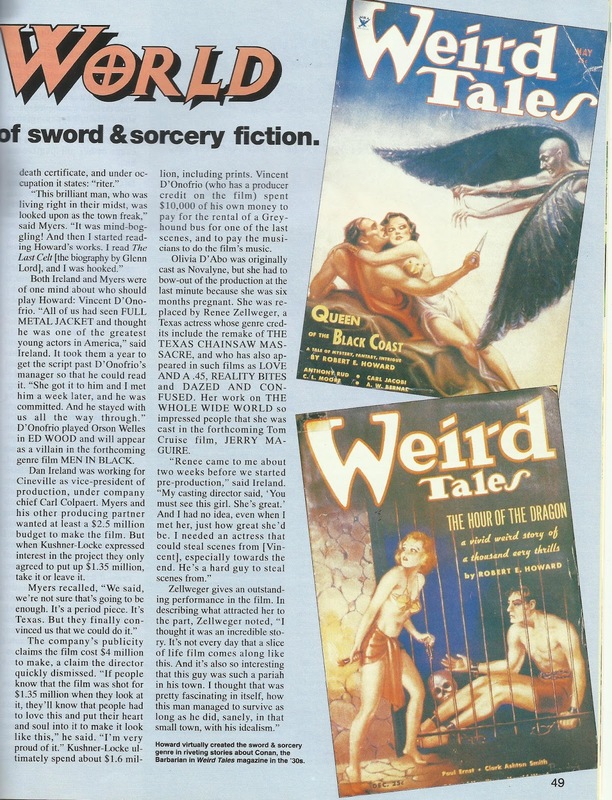 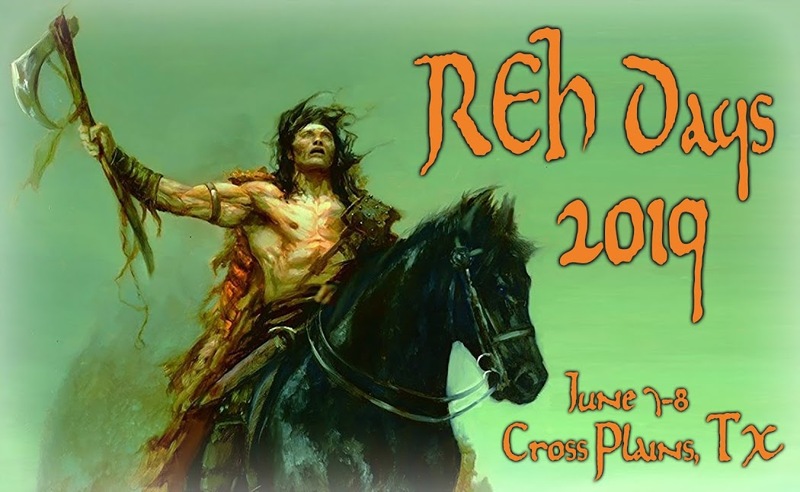 Rest in peace, Dan Ireland - with your fine talent and art, you helped bring a sense of realness to the life and art of Robert E. Howard.